This is a fun activity for kids who have outgrown their old clothes. 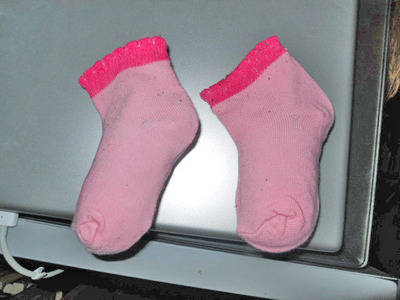 They can upcycle their toddler socks and with a bit of help from an adult, turn them into an air freshener for their bedroom or to hang up in the car. Hey, it beats a pair of fuzzy dice. 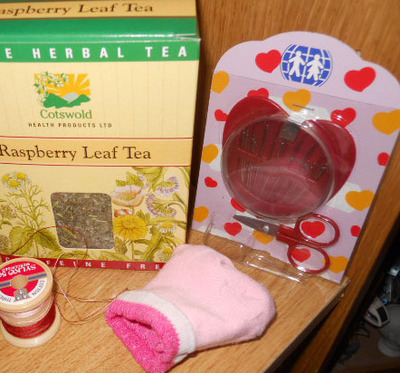 Fill both socks up to the elastic rim with tea leaves. Sew the socks up just below the elastic rim. Layer the socks on top of one another, and sew them together at the rim. 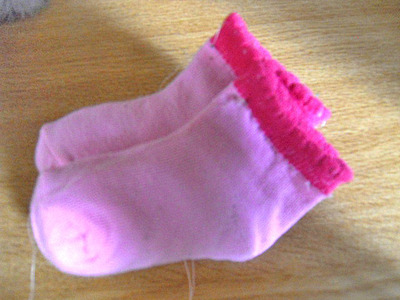 Sew a new piece of thread to either side of the back sock to create a handle. Hang up on your door.